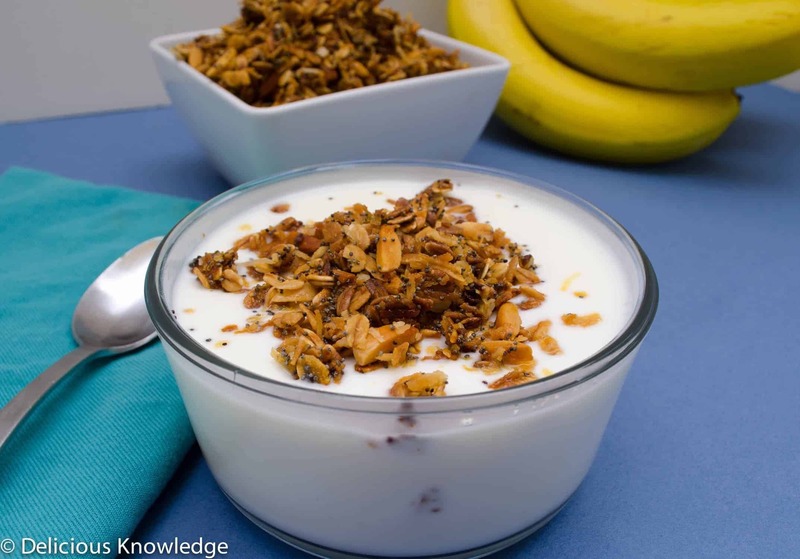 Granola, often portrayed as a health food, can be a meal in itself… even before you add fruit, milk, and/or yogurt. 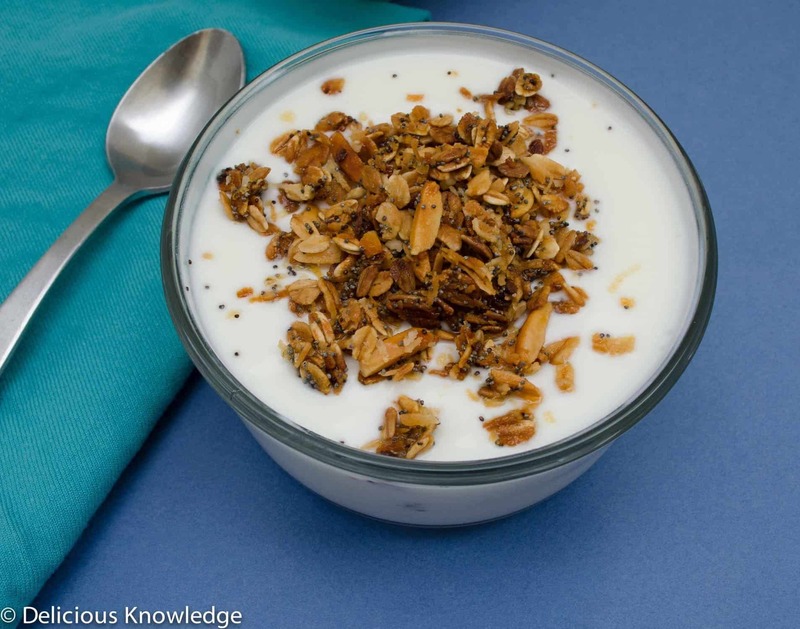 Thankfully, this granola is closer in stats to oatmeal than traditional granola. While I’ve made granola before, the addition of lemon zest and poppy seeds makes this granola special. Fancy enough for brunch or weekday breakfast. To really enjoy this treat, try stirring a bit of lemon flavoring or zest into your favorite yogurt and top away. It’s also delicious with cold unsweetened almond milk. Looking to make this even healthier? To cut down on added sugars, use unsweetened coconut instead of sweetened. In a large bowl, combine the rolled oats, sweetened coconut, poppy seeds, almonds, & salt. Combine the melted butter, agave nectar, and vanilla extract. Stir together and add to oat mixture. Stir to combine and spread onto a lightly-greased pan. Place in the oven and baked for 8 minutes. Stir, and bake for another 10 minutes until golden brown. Enjoy with cold almond milk or lemon yogurt. 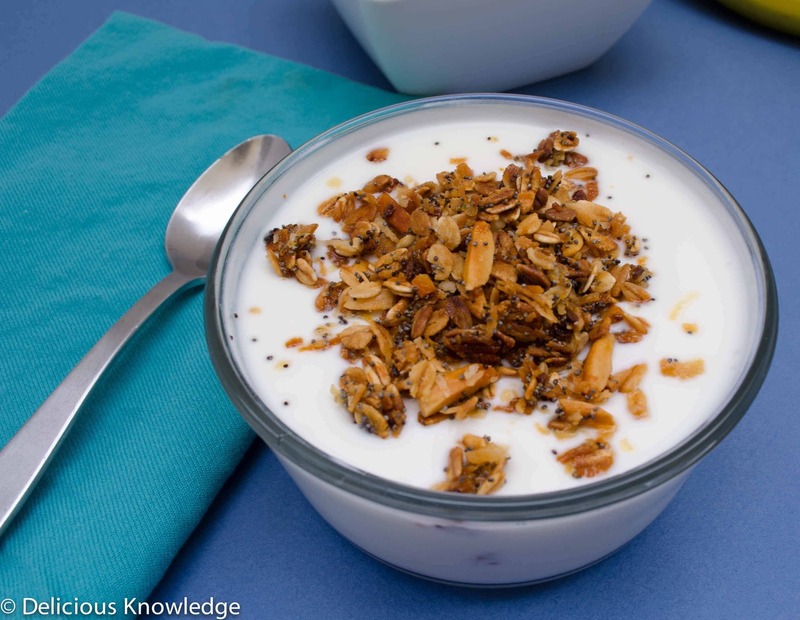 I can’t believe how easy this is….why do I keep Using packaged granola?! Do you have a recipe with groats yet – my request …. Thanks DK! Ah! I need to do that. Thanks for reminding me, I’ve got a big ol bag of them that I need to get more creative with. I usually just toast them and sprinkle them on just about everything… which I don’t think BL appreciates! 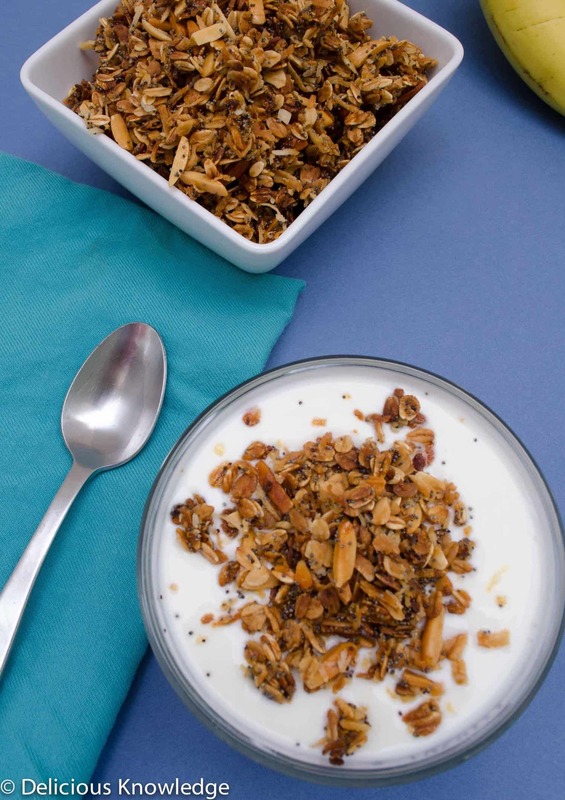 This granola is so, so easy. And healthier than that naked stuff. And less expensive! It’s not very sweet either, which I prefer. Especially if I am eating it with a sweetened yogurt!